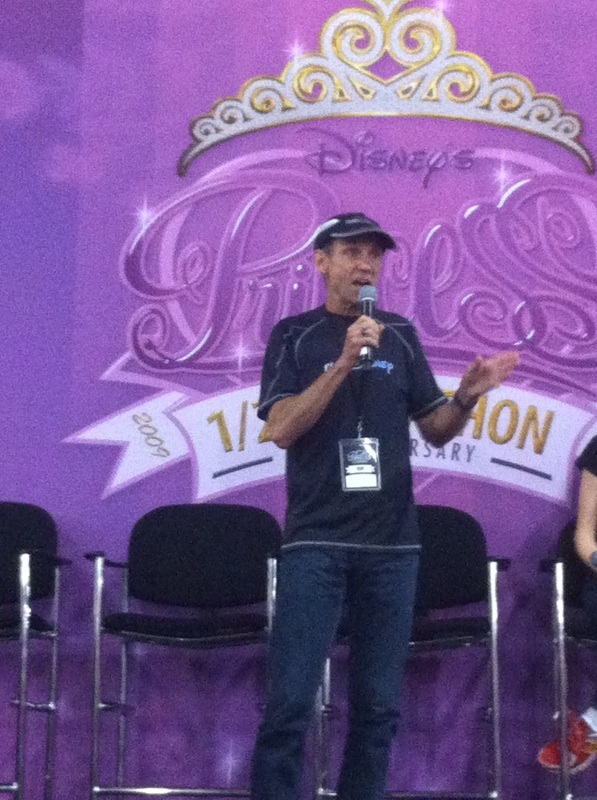 This year’s Princess Half Marathon was special for a number of reasons – for one, it was the 5th anniversary, which meant special recognition for those ‘Perfect Princesses’ that had run the race each year since its inaugural event, two – it was the BIGGEST of any Princess race and three – it was the first race expo since the inception of the runDisney brand that was held outside of the ESPN Wide World of Sports Complex, instead moving to Disney’s Coronado Springs Resort and Convention Center. Our Outrunning the Monorail reporter on the ground for this leg of the journey was Lauren with a recap on the magic and mayhem…so let’s get on the bus and go! 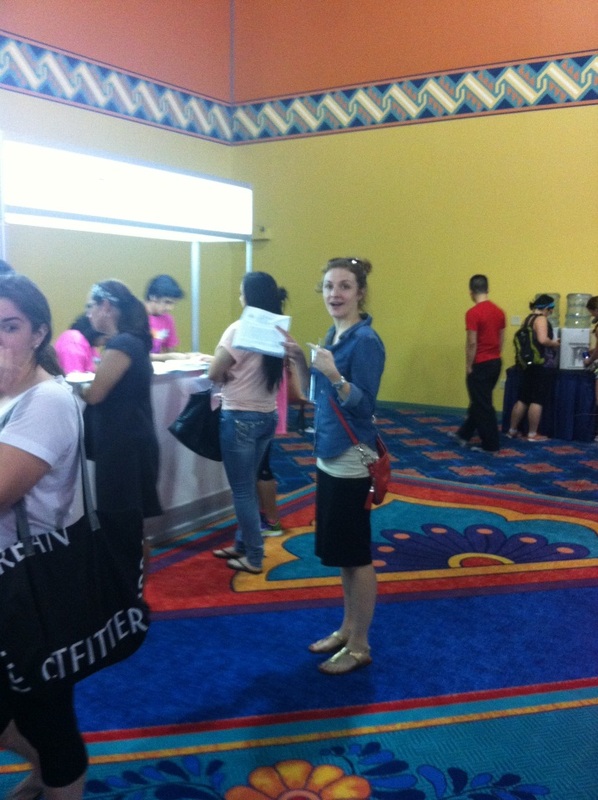 The Expo journey begins…posing courtesy Princess AKP! 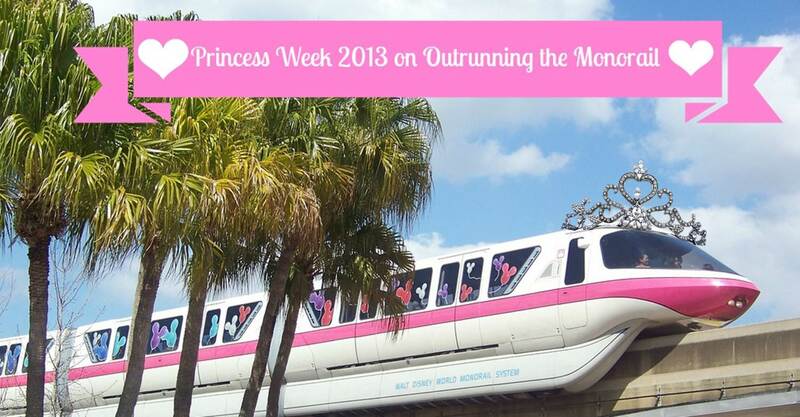 Hello, Outrunning the Monorail readers! I’m Lauren from 30 run 30, but you can call me LNRB. 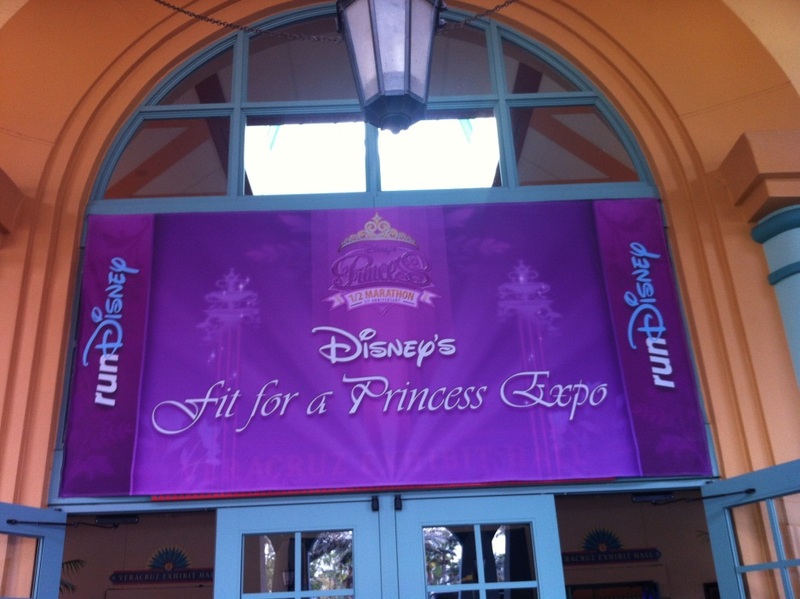 I’m so excited to be sharing my Fit for a Princess expo experience during the Princess Half Marathon weekend with all you princes and princesses. So, let’s get down to it! 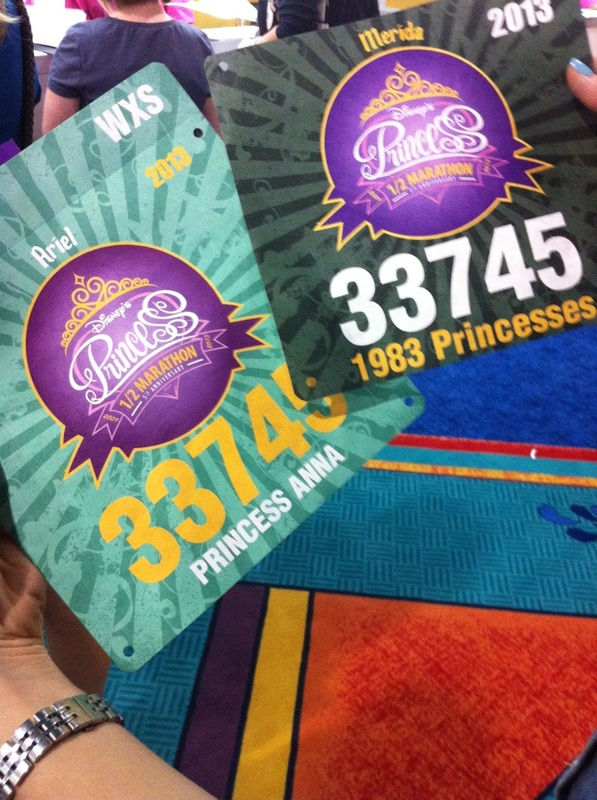 I was lucky enough to run the Princess Half Marathon with my 3 favorite princesses. Half my team arrived on Friday and hit the expo before I got there. They bemoaned the long lines to even get into the expo and apparently the lines didn’t get any better to grab the bibs and THEN grab the t-shirts. 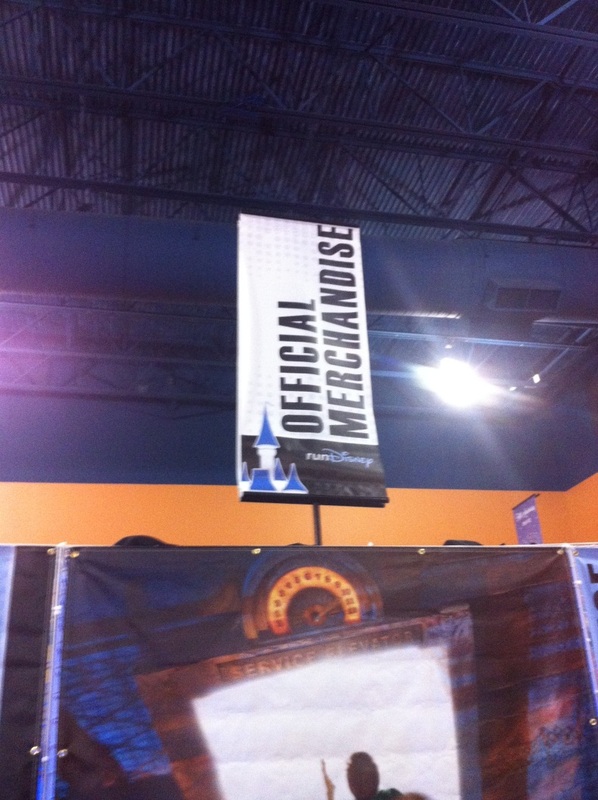 They also warned, just like Twitter, the lines to get into the official merchandise area might not be worth it. Yikes! This is was not the start I had envisioned for our weekend, but with 26,000 runners, I knew that it would be a few lines. 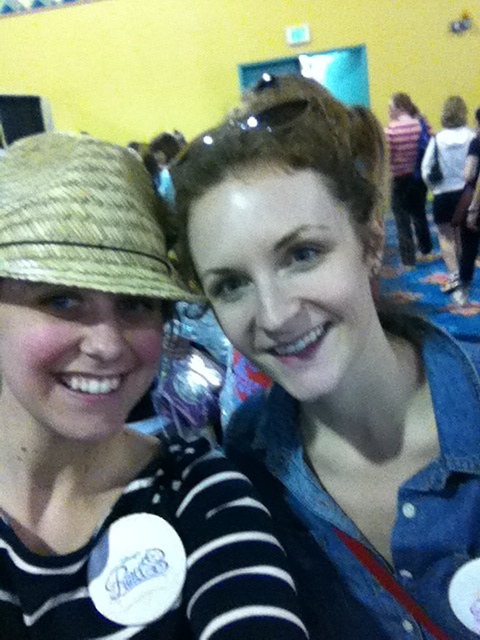 When Princess AKP and I landed in at the Caribbean Beach, we hustled right over to the expo. 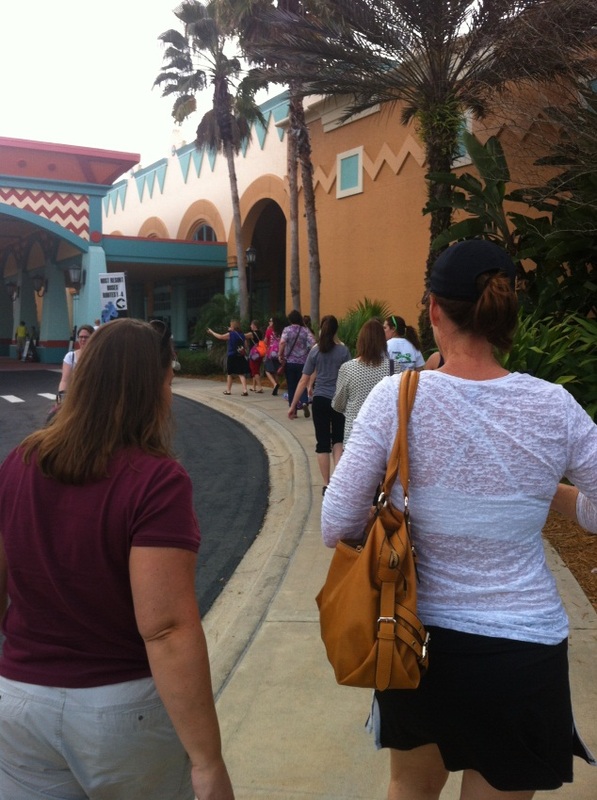 After a short bus ride to Coronado Springs, we hopped off and were escorted directly into the expo. 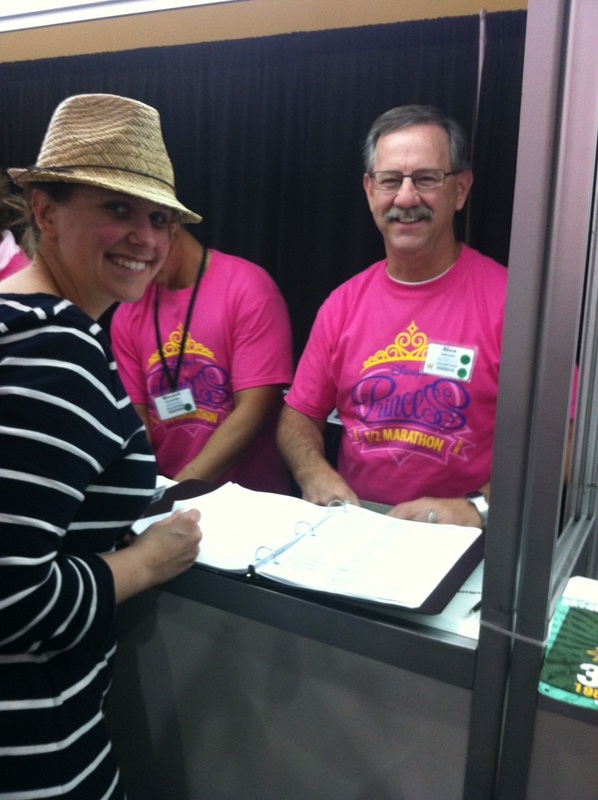 After having braced myself for an hour wait I fell out of my Sperrys when we were whisked right through the door and directly to the bib pick up by the beautiful volunteers. 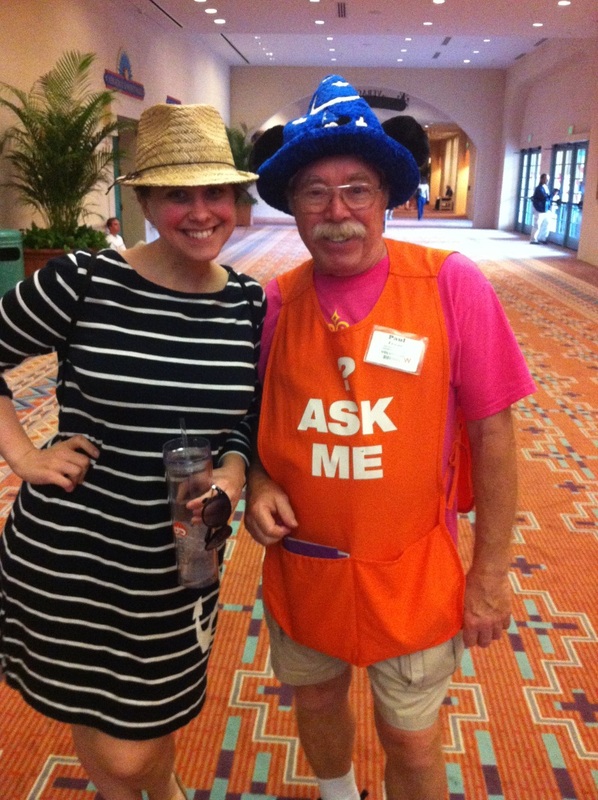 I mean a man with a pink t-shirt, an orange vest and a Sorcerer Mickey hat? Cue “Someday My Prince Will Come”! 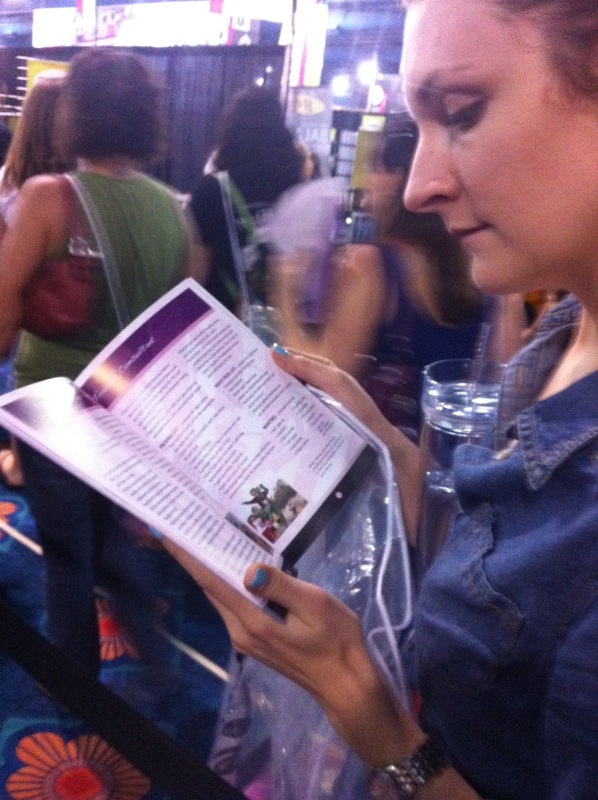 Princess AKP and I pranced RIGHT UP TO THE booths. After the bibbing, we were escorted to the t-shirt pick up area, which was on the other side of the vendor booths. This was the only place where we experienced any lines. And the only line to that point was to pick up your medium sized t-shirt. Princess AKP and I caught up with each other and the race’s final instructions while I patiently waited for my medium sized shirt. 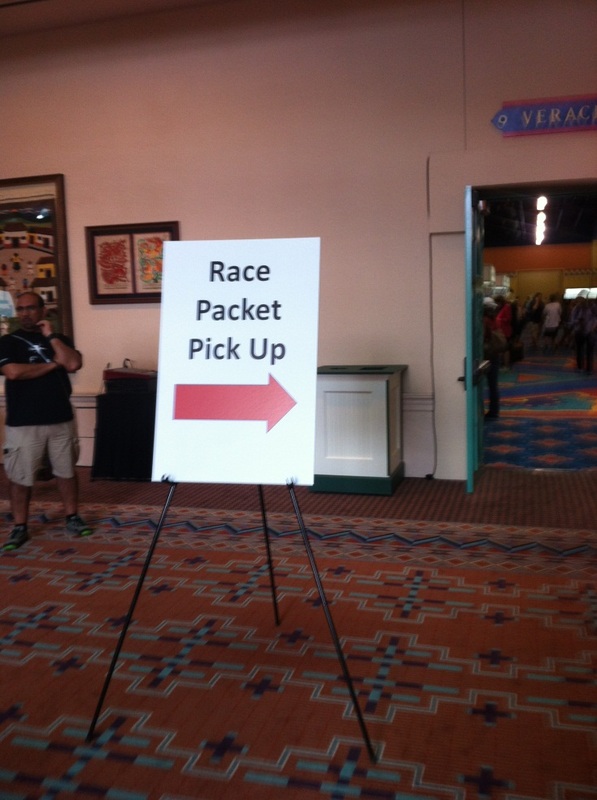 Finally with my purple race shirt in hand, we waited in line to get a peek at the official race merch. After a few short minutes in line, we got to see the runDisney merchandise. There wasn’t a ton of it but what was there was adorable! Most everything had the “Sorry Charming” motif. 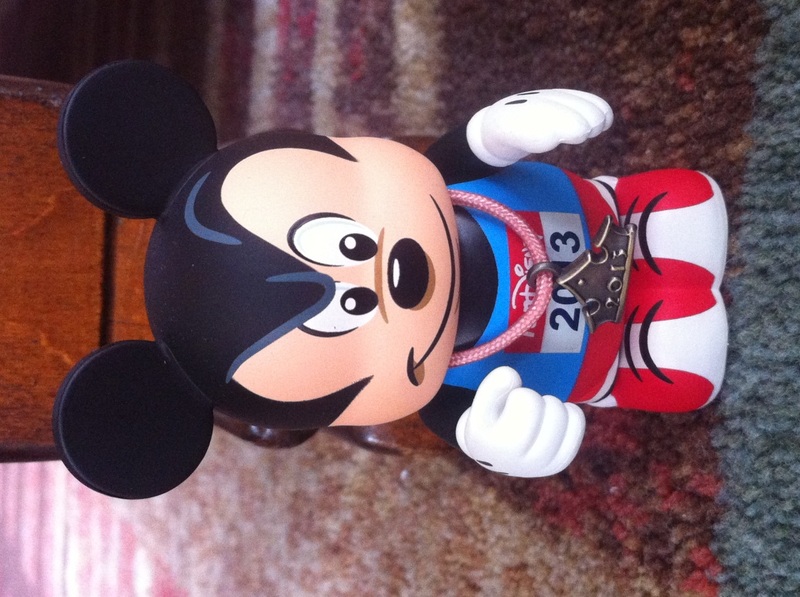 I grabbed myself the runner Mickey Vinalymation with the Princess Half Marathon medal. How cute is he? I’m in love! 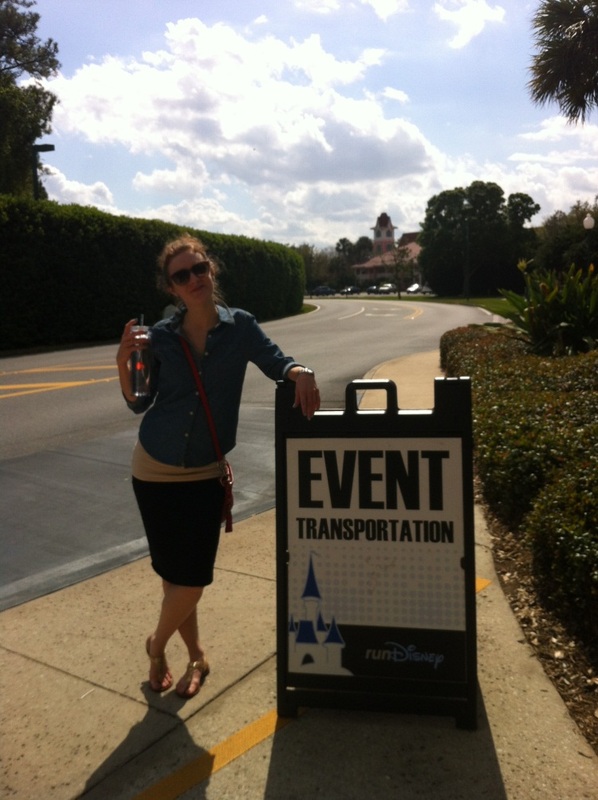 After we checked out with runner Mickey in tow, we headed out to check the rest of the expo. One of the first stops was listening to my running Sherpa (tie with Bart Yasso), Jeff Galloway! Jeff Galloway at PHM 2013 Expo. I’m pretty sure he was telling us to hydrate, since it was supposed to be record high temps on the course the next day. But I was so giddy I can’t really remember. 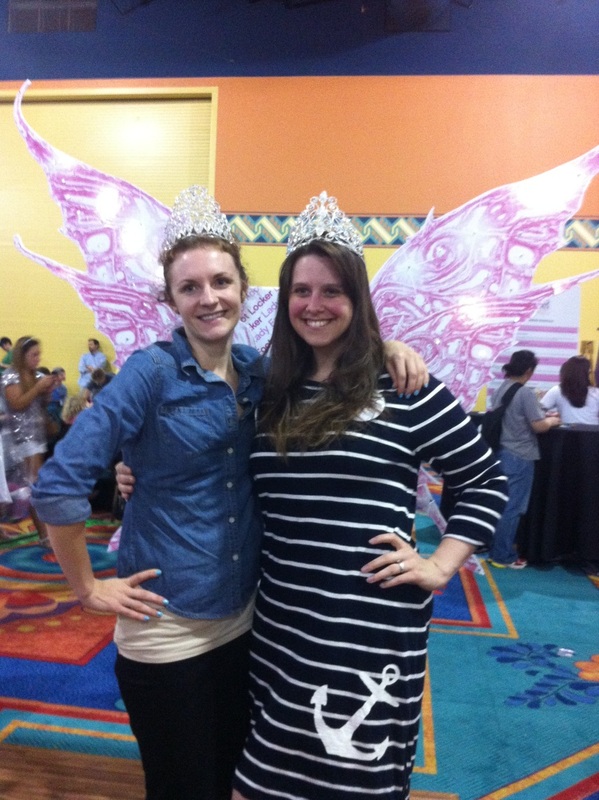 Next we headed over to the Lady Footlocker booth to see their awesome running clothes and have our pics taken with the fairy wings and the enormous crown. 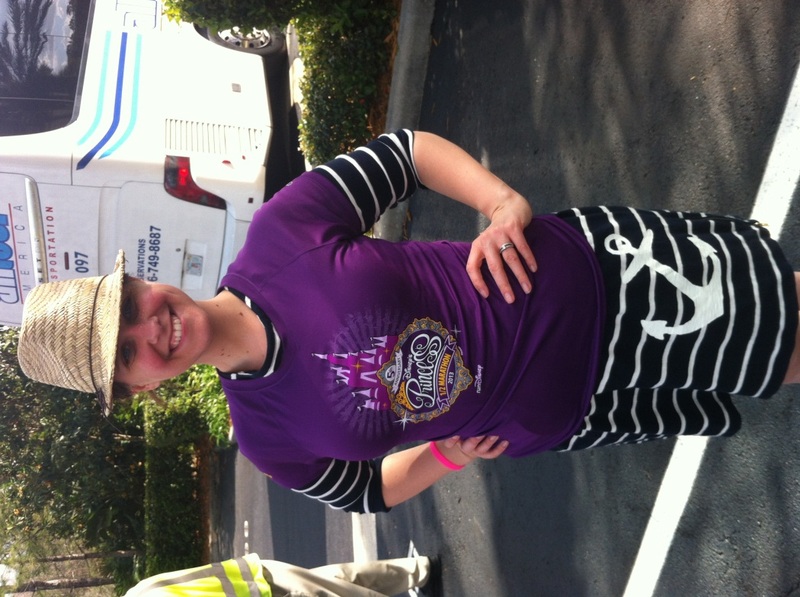 About this time we were itching to lay out our race-day gear and maybe even hit the pool. As we snaked our way out of the booths I saw her. Ali Vincent. Let me try this again – ALI VINCENT!! I’m not a big reality TV buff but I was so into Ali being the first female biggest loser and the fact that she’s gorgeous and fabulous and she runs Disney. Please commence the super awkward attack of Ali Vincent by LNRB. Ali – I super love you. Thanks for entertaining my spaz. She gave me her autograph and a grab bracelet. You’re supposed to wear it to be conscious of your actions. I love the idea, but of course I lost the bracelet in the race shuffle. 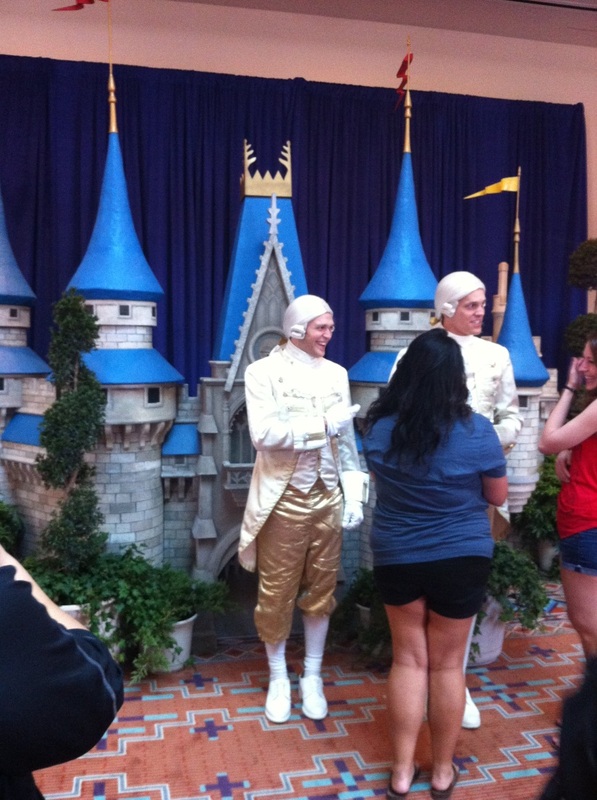 What’s a Fit for a Princess expo without a shot of some princes? There were plenty of opportunities for character posing: Aurora, Cinderella – they were everywhere. We were a little impatient and didn’t want to wait in line, which weren’t long. Actually now that I think about it none of the lines were. Anywhere. As we walked out, we couldn’t help but congratulate ourselves on a job well done! 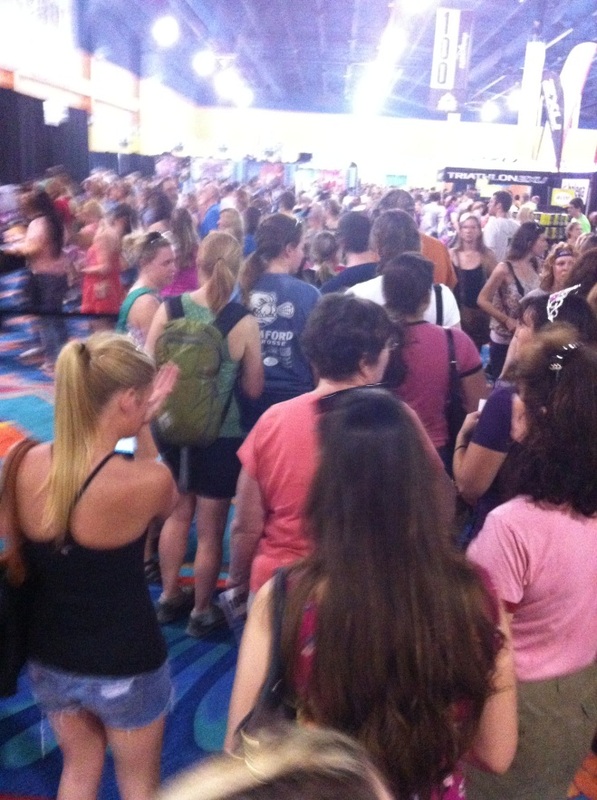 Short lines, merchandise and all my favorite expo people! For anyone getting to the expo a little late, don’t fret. I would actually recommend it. We breezed in and out and didn’t feel rushed or cramped. 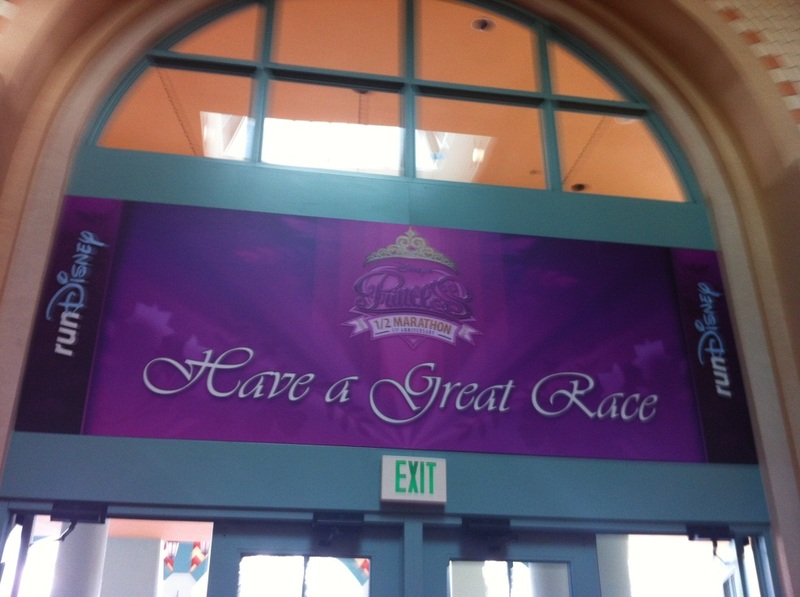 Like every runDisney event, the expo was really well organized with tons of happy, helpful volunteers. And even water stations to fill up our bottles so we could stay hydrated. We were very happy princesses! 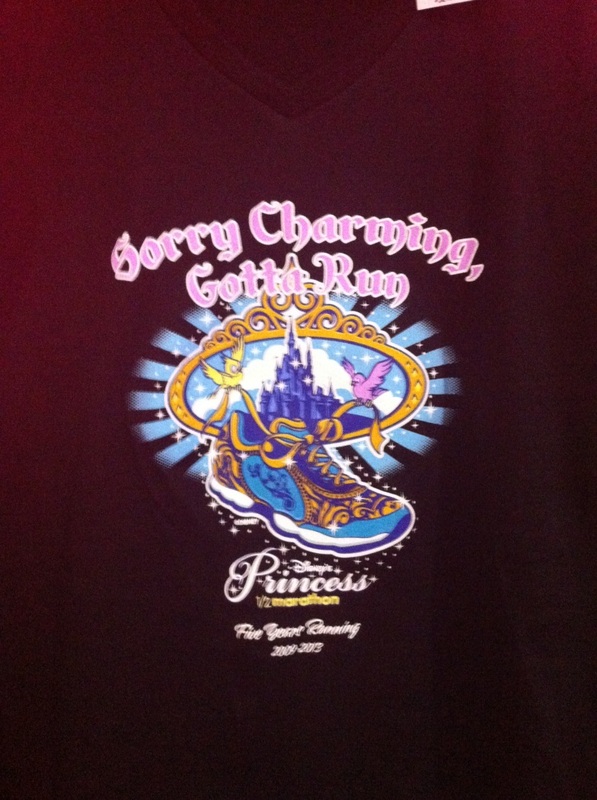 Sporting the official Princess Half Marathon race shirt. 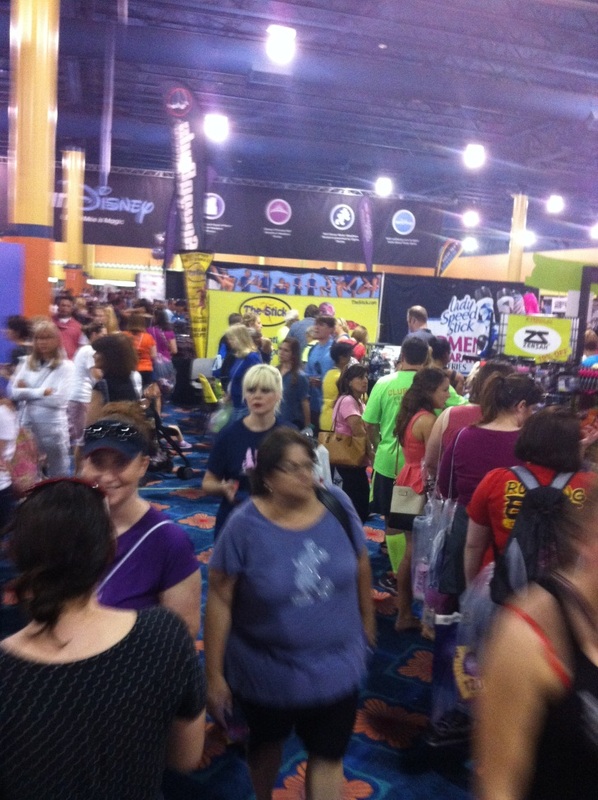 Thanks, Lauren for your fabulous recap of the 2013 Princess Half Marathon ‘Fit for a Princess’ Expo! I really enjoyed virtually visiting and hope this gave some insight to others that may have never attended a runDisney expo before. Here’s a fun fact…you don’t even need to racing in the event to visit – yup, it’s a free event so if you’re looking for a place to shop, gain some inspiration with the speaker series or maybe sign up for a future runDisney event, don’t hesitate to check it out! 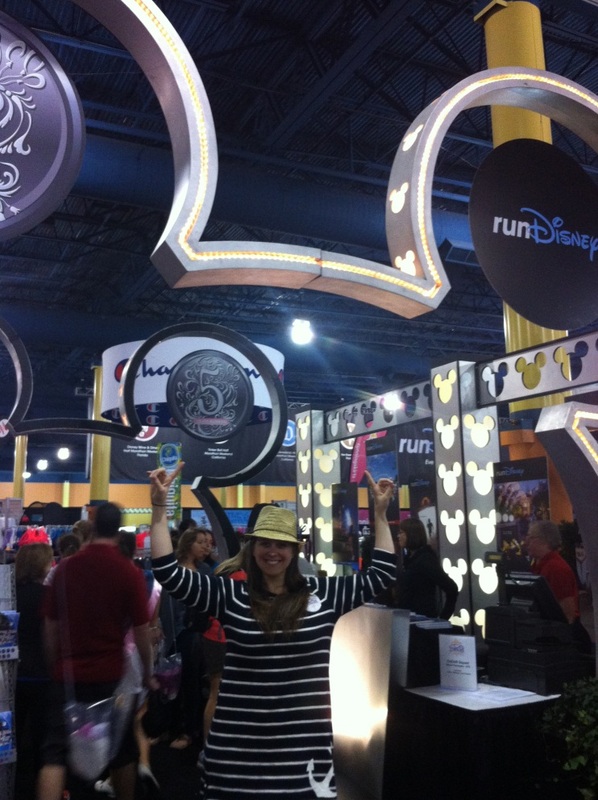 Have you ever attended a runDisney race expo? What was your favorite part? Do you have tips on the best time to visit?